Sheri brings a broad range of experience and hours of education into her teaching of Ortho-Bionomy. 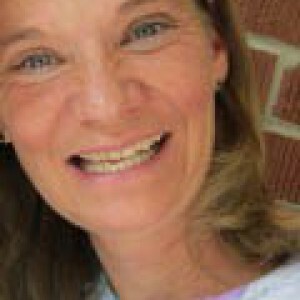 She has been a successful Instructor and Practitioner in both Crested Butte and Grand Junction Colorado. Her enthusiasm and amazement at the unique principles of this work add an element of practical and intelligent application that is important in each Practitioner’s experience. Her experience as an athlete and working with hundreds of athletes in her practice helps her understand the body on a complicated level which is reflected in her teaching by allowing the students to recognize patterns and movements that can cause injury. Based in Osteopathy, Ortho Bionomy is a structural and neurological approach to bodywork that assists the body in initiating self-correcting reflexes that enables the body to heal from a calm, pain free place. The quality of the work creates an atmosphere for the client to connect to an inner wisdom and intelligence by accessing natural and neuron-connections that allow the body to start to correct, re-organize and encourages the healing of the whole being. This work is valuable and effective in healing acute and chronic pain. I am so grateful for Rocky Mountain Ortho-Bionomy Center! From Sheri and the dynamic teaching staff, to the warm and welcoming space that is created, from the embodiment of the principles of Ortho-Bionomy on so many levels, to the plethora of class choices and availability…this place is truly amazing! The genuine support and nurturing guidance they provide each student is invaluable. I am so happy there is a quality learning center to uphold the integrity and beauty of Ortho-Bionomy.